Bioderma is a brand I see day in, day out backstage at fashion shows and photoshoots. More often than not it is their Micellar Water that makeup artists have on hand to remove the models makeup and cleanse their skin, I know some models that won’t take their makeup off with anything else other than the famous no-rinse cleansing liquid that’s suitable for even sensitive skin types. 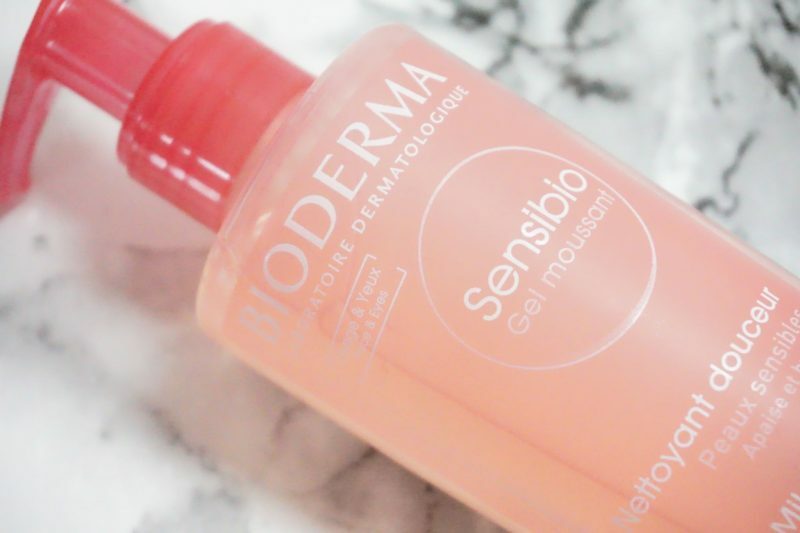 So I was super excited to try Bioderma’s new Sensibio Mild Cleansing Foaming Gel that is part of the same Sensibio range as the Micellar Water. First off – the packaging is pink and looks gorgeous. Second of all, I love a cleanser with a pump. I am a prime culprit for always using too much product, so when the package design has a pump action it helps to control and stop waste of the product and therefor last longer. Winner! You can also twist-lock this for travel, so no spillages. Double winner! This is the perfect cleanser for someone with sensitive skin, it soothes and calms irritations while hydrating your skin. I love it as my second cleanser in the evening after using a cleaning oil or balm. 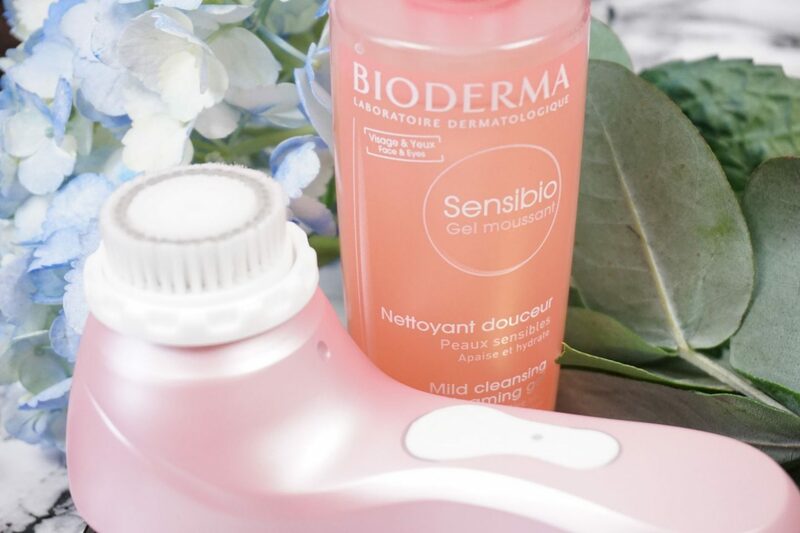 I have been using Bioderma’s Sensibio Mild Cleansing Foaming Gel alongside my daily Magnitone cleanse (see more info here) which makes cleansing super fast & and suuuuper effective. I wet my Magnitone brush, damp my face and apply a pump of the Bioderma Sensibio Mild Cleansing Foaming Gel and cleanse away. As someone that can suffer from redness and sensitivity, I have had zero issues with this face wash including around the eye area. I have also tried it when my skin has been irritated, it has been sensitive enough not to irritate my skin further. 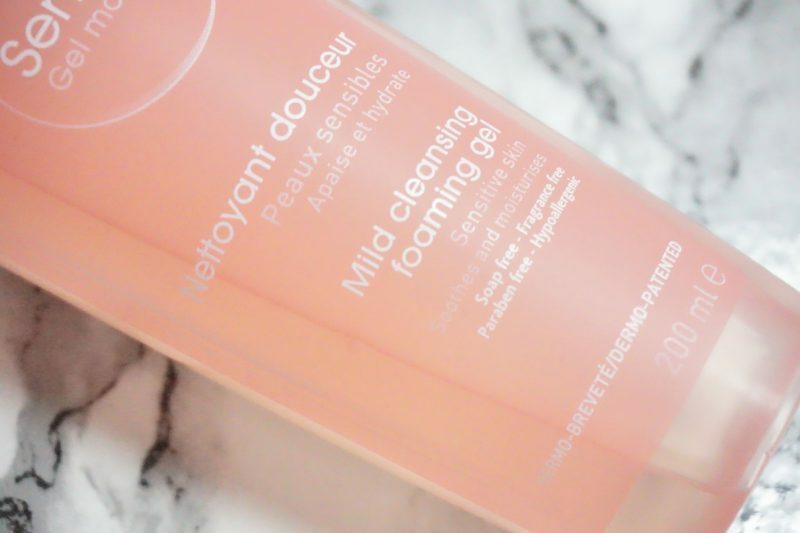 For those days when your skin may be feeling a bit tired or irritated and you don’t want to use anything too harsh, this is the perfect cleanser! It’s Soap Free, Fragrance Free, Paraben Free, Colorant Free, Hypoallergenic and Non-Comedogenic.